To be a crow. I sat in the woods looking over the treetops from a bluff. I dreamed of soaring as a crow among the fir and maple. I would chase my family in a form of tail grab tag. Then play a mobbing game to see who can fly the closest to an owl or eagle in a tree glaring at us. We would watch for snacks such as roadkill or human garbage. Of course there is the old fashion natural stuff like berries, nuts, little crabs, grass and whatever we can forage for. 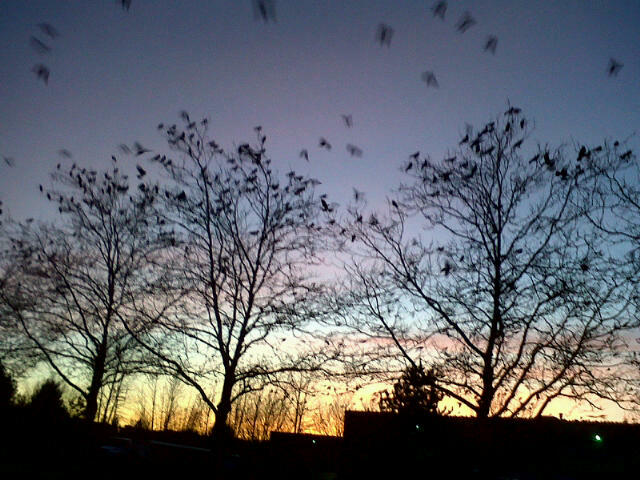 As the day ends we gather in huge murders and fly towards the setting sun. We sit in trees like ornaments on a Christmas tree all facing the sunset. We say our prayers to the sun and mother nature as darkness forms. At night we huddle close in the big roost protecting each other with our warmth and numbers. Come spring we return to stay in our home territories. There we pick the best tree our status can attain. Then we raise a family with the help of our older children and extended family. 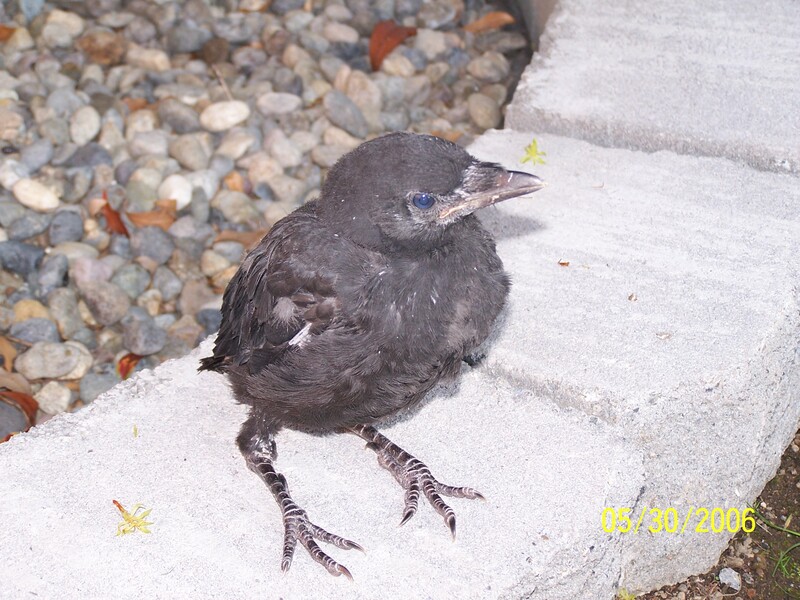 Our babies have blue eyes and act goofy learning to be crow. Humans are a puzzle to us. Some throw things at us and act like idiots who own the world when they don’t. Others feed us and make sounds of endearment. So, as I sat in the park I soared above the trees and tried to think of being black. Of being above the world. Of family. Of the world. Life is hard at times but when you see the treetops your heart grows and life is good. 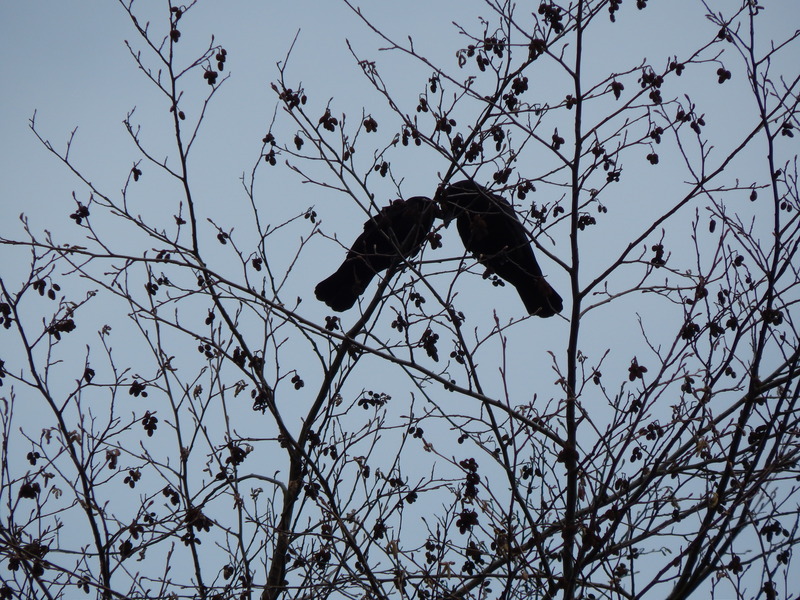 May the holidays bring you crow vision to weather life’s storms and know the love of all the world.